The Calypso Pen has an understated elegance, with bright accents. It is available as a white barrel with black, blue, purple, green, red, or orange accents or a silver barrel with blue, green, red, or black accents. The Calypso Pen has an understated elegance, with bright accents. It is available as a white barrel with black, blue, purple, green, red, or orange accents or a silver barrel with blue, green, red, or black accents. The rubberized grip, makes it easy to write with, and comfortable to hold. It has a plunger action, with black ink and a medium point. Print the barrel, with your company’s logo, using standard silk screen colors. 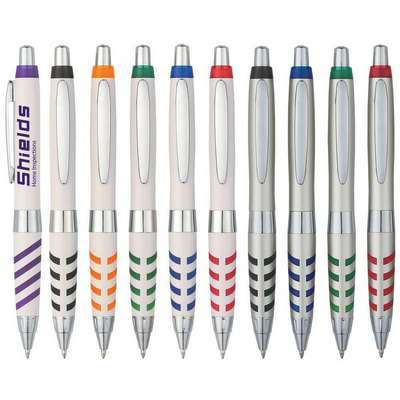 Opt for multi- color printing, of your company’s brand name, with an additional cost. 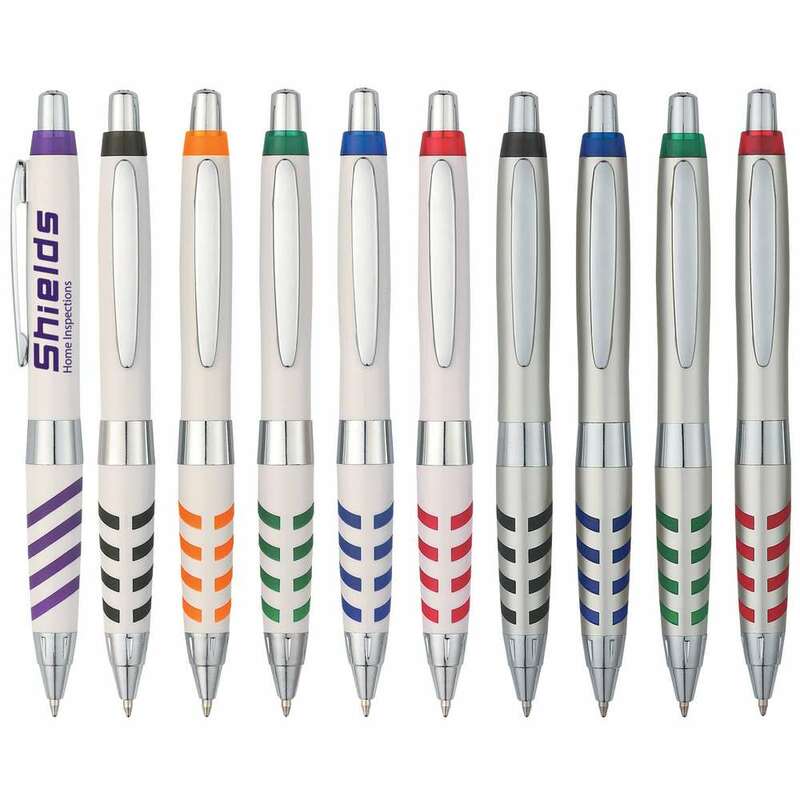 Gift this pen to your esteemed customers and employees and make an elegant brand statement.